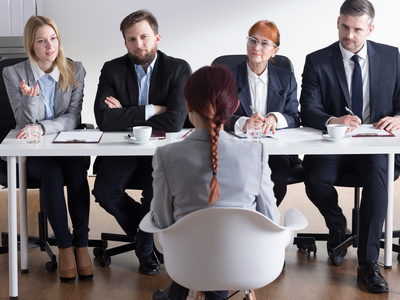 If you are at the stage of interviewing a number of people for a potential job, you want to make sure you ask the correct questions in order to best understand if they are the correct person for the job. You only have a short period of time to make an informed decision. You will find that if you browse the internet there is a number of standard question sets and scenarios in order to support people going through this process however one cap does not fit all. There are different scenarios and question types that may be specific to your organisation or skill set you are looking for. Here are some suggestions. If for example the job you are interviewing for is a very specific specialist skill like an engineer or doctor then you will maybe want to test their technical expertise at the interview. Despite people having lots of certificates to show that they have a degree or similar, it is important to test the understanding and competence of this. As a result, you may wish to have 1 or 2 questions designed specifically along these lines. This could include giving them a specific scenario and ask how they would then tackle the problem and you trying to tease out the technical competence. If you are looking for someone to be a leader then you will be looking for them to demonstrate their leadership capabilities. Some companies in these examples may actually even insist that the individual does a presentation of some sort (see below). Trying to tease out the individuals experience in a field will include them potentially listing of their resume the different areas and for you to poke at each one. Sometimes for these sort of questions you may then see a good and bad cop interviewing in order to put the candidate under a little bit of pressure to see how they react. If you are looking to recruit a leader in the business then their presence, influence and ability to work under pressure are key things to look out for. A good way to maybe assess this is for them to do presentation to you on a flipchart on a leadership related topic. This could be along the lines of them presenting to you what leadership traits they think are important in order to manage a specific difficult situation. If you do not allow them a lot of time to prepare for this presentation then it also ticks the box on being able to act under pressure. You may wish to pull on a recruitment agency to do a lot of this on your behalf. There are many that are committed to specific fields. For example if you are looking to recruit a doctor in a hospital there is a physician recruiter company that are experts in this particular industry. This way, you don’t need to prepare interview questions and sit back and let the experts do all this on your behalf.